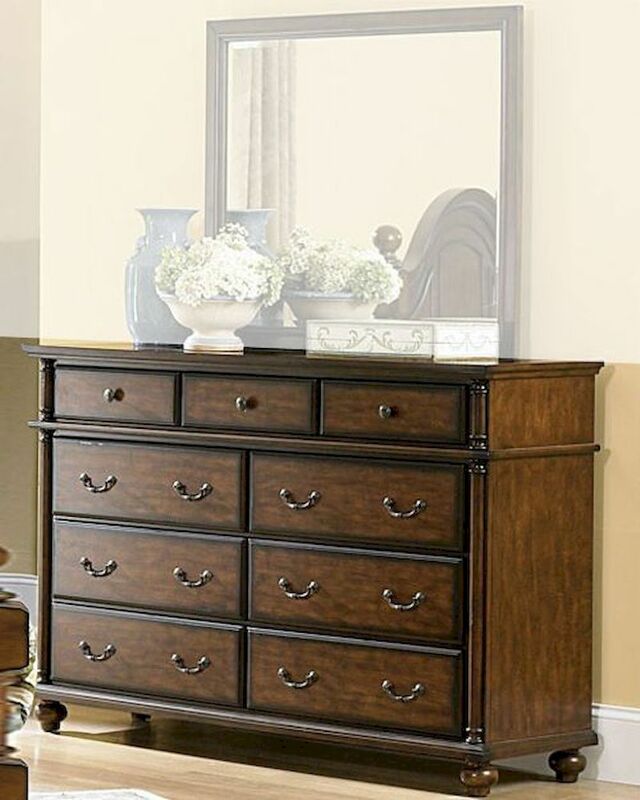 The Langston classic country style dresser blends effortlessly into your bedroom. Metal knob and bale hardware adorn each case piece, as do rounded pilasters. Further completing the collection is the rich burnished pine finish. Dresser - 60"W x 18"D x 40"H.
Solid wood and veneers construction. Metal knob and bale hardware.